this is a blog called geometricsleep. 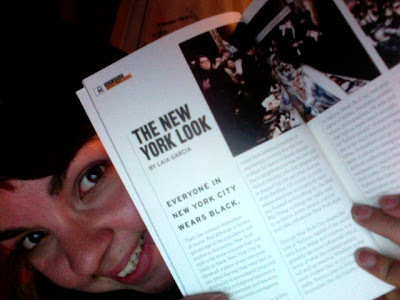 : Look Ma, I'm a published writer! Look Ma, I'm a published writer! 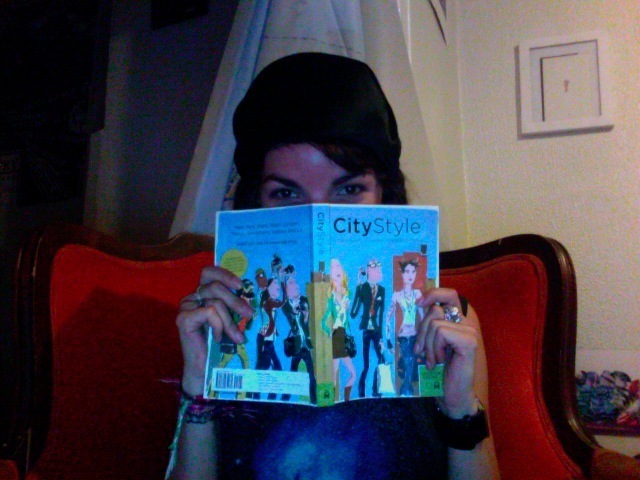 Earlier this year I was asked to contribute my thoughts on New York City style to City Style, a new fashion/travel guide to be published by Museyon Guides. I was beyond excited at the prospect but nothing beats the super rad feeling of having the hard copy in my hands! Cover illustration by Jean-Philippe Delhomme. They got cool people from all over the world to talk about what makes the style in their city special. Flaunt editor Maxwell Williams writes about LA, Dan Bailey of Tokyo Dandy shows us Tokyo (duh) and former Oyster editor Paul Bui muses on Sydney. Even if you aren't planning on traveling to these cities (although why wouldn't you want to go to Stockholm or Sidney or London? ), it's definitely worth the read. This book is like having a friend telling you the best things about where they're from. PLUS there's interviews with cool people like Vena Cava's Sophie Buhai & Lisa Mayock and Willow designer Kit Willow. I wrote about New York City. The guide will be out in October, this is just a lil preview post to whet your appetite... haha. My camera is kaput so from now on all the pictures here will be from photobooth or my blackberry. It'll make it artsy, no? Labels: awesome stuff, city style, museyon guides, omg what?, things i do, who am i? can't wait to see the hard copy. Yeah, excellent, by the way, the photo is not that creep! Congratulachions! Very nice. Very, very nice. haha, everyone in melbourne wears black too. I am MAJORLY impressed and excited for you. That's rad! Can't wait to get my hands on a copy. Congratulations!!! Can't wait to read it!